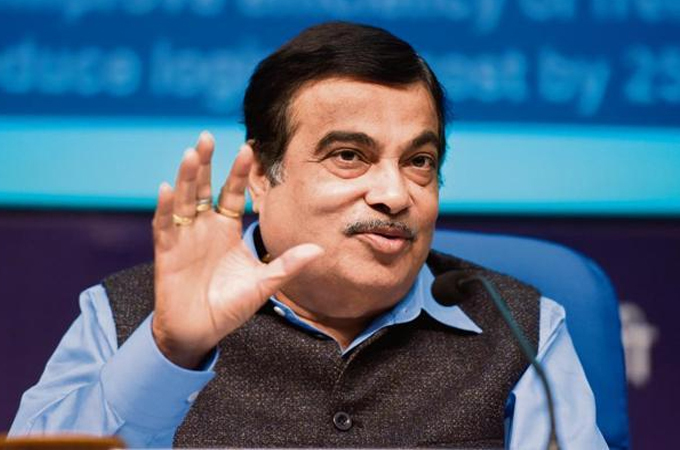 Nagpur : Bharatiya Janata Party (BJP) on Sunday unveiled the development agenda of Nitin Gadkari for Nagpur, promising a world class infrastructure that would match its status as second capital of the State. Unveiling the vision document of Gadkari, Guardian Minister Chandrashekhar Bawankule said, they are ready with a time-bound programme for 2019-2024. “Gadkari’s main focus remains creation of job opportunities for youth through MIHAN and bringing Nagpur on world tourism map by way of creation of landmarks,” he added. The booklet prepared by Gadkari said, focus in on upgrading health care facilities along with affordable treatment for all sections of society. For physically challenged persons, a separate facility engaged in creation of specialised equipment would be in place and free of cost eye screening and distribution of spectacles. For MIHAN focus is on creation of defence material manufacturing hub that would give fillip to jobs for youth. The proposed international convention centre and upgradation of Sonegaon Airport are a sure way to attract new investment in the region. Development of an Agro Convention Centre is proposed at Telenkhedi Garden with support of Dr Panjabrao Deshmukh Krishi Vidyapeeth. “For Railways, there is a promise of rolling out broad gauge metro to inter-link small towns in Vidarbha with Nagpur city. The draft is ready and in next five years, air conditioned travel at affordable rates would be introduced with focus on Nagpur and its linkage with neighbouring towns and cities. “Similarly, within district, CNG buses would be run by roping in private players to provide air conditioned travel at affordable cost to travellers,” Bawankule informed the gathering. “Apart from the unfinished agenda of current term, Gadkari has promised a world class national-level film city to promote local talent as well giving fillip to MIHAN to create jobs for youth in region. The booklet pushed forward by local BJP leaders as Gadkari’s manifesto for the current general elections, it would restore lost glory of Nagpur. For long Nagpur city has suffered due to lack of patronage but with Gadkari’s election as Member of Parliament (MP) and later becoming the most admired Minister in Prime Minister Narendra Modi Government, the second capital has regained its due status,” Bawankule added. “Nagpur, today is one of the fastest developing cities in the country and within next five years, with Gadkari again at helm, citizens would witness a smarter upgradation of public facilities. Apart from existing work that would be expanded on wider scale, Gadkari also has in mind local needs and that is reflected in his promises extended to citizens through the manifesto,” Ajay Sancheti, ex-Member of Parliament said. “Also during next five years, all the lakes in city would be rejuvenated and converted into tourist spots. For traders there is a promise of simplifying GST and giving relief from LBT notices issued by State,” he added. BJP leaders including MLAs Sudhakar Deshmukh and Sudhakar Kohale, Mayor Nanda Jichkar, and others also were present on the occasion.